Kooks Kitchen is a gem of a find for healthy takeaway meals. Specialising in vegan friendly seasonal gourmet salads, juices, and smoothies, this place does it fresh, with recipes inspired by market produce. The salads start from as little as $9 for a small bowl, and cater for gluten and low FODMAP diets too. Choose from delicious grain-based options such as broccoli and quinoa with kale and frekah, spring onions, and preserved lemons to Asian inspired buckwheat soba noodles with mushrooms, brussel sprouts and parsley, or summer fresh peach and radicchio with green beans, fennel, basil and hazelnuts. 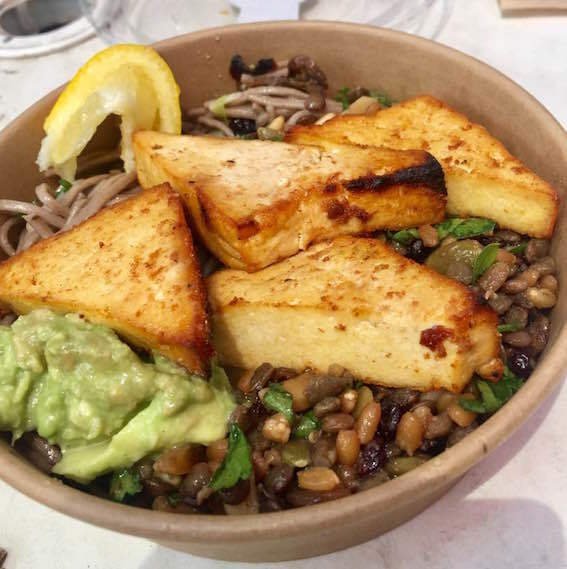 The best deal is the Kooks Kombo, which includes a hot item (falafal, tofu, or grilled mushroom), your choice of two salads, and condiment (co-yo, hommus, beetroot, or avocado) for $12 in a bowl or $13 in a wrap, for an easy ready to go nutritious and healthy meal. Open at two locations - Prahran and South Melbourne Markets, Kooks also offers catering for large dinner parties and corporate functions.